Introduced to us by a business consultant contact, the Sussex-based client required £400k, raised through the financing of over 80 assets for the new management team to purchase the shares of the business to fund a Management Buy In, provided by us in the form of a Sales & Hire Back Facility. The original directors were looking to retire, having set up the business 40 years prior and built it up to a £multi-million turnover company. The new management team we’re looking to take over the business and continue its sturdy growth and success but required the funding. The refinance involved over 80 different pieces of engineering equipment to enable us to raise the the required funding with their bank providing the remaining balance,together forming part of the overall capital to be raised to ensure the purchase price could be met. We worked with a long-term contact and renowned Asset Valuation company to undertake detailed valuations which included visiting the premises in East Sussex and inspecting. We obtained clear title to the assets concerned highlighting additional challenges due to the age of certain assets, however we also had to deal with sensitivities surrounding the sale of the business whilst staff were not aware, meaning we could not simply call the finance team for invoices for example. To manage this sensitivity, we made sure our team only dealt with the management team to respect their wishes. When it came to the lawyers, we worked on drafting and negotiating the SPA to include warranties within the sale to minimise risks following the funds being released. 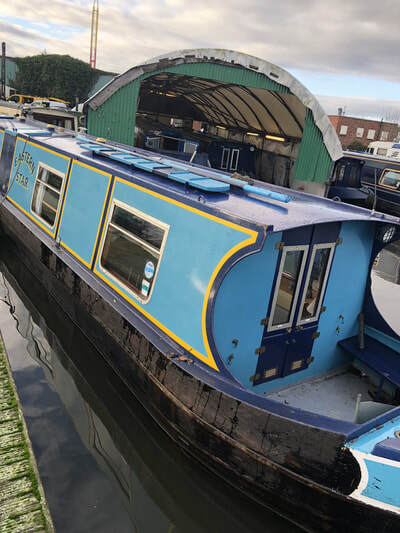 When looking to purchase a new vessel and give their office location a bit of a makeover, a canal boat rental company turned to Davenham for help in locating finances through their existing assets to fund their new ventures and keep their head above water. 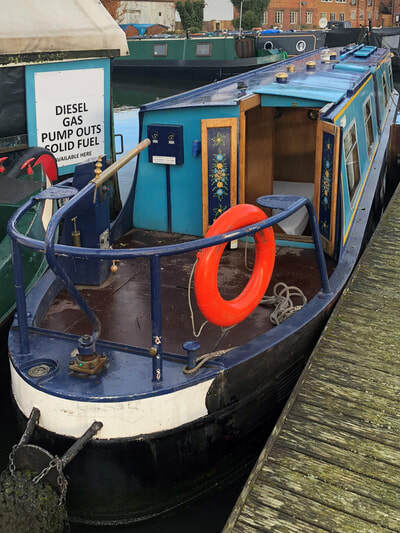 With access to a fleet of unencumbered boats, the company aimed to achieve finance in the region of £100,000 against these assets to buy a brand new canal boat suitable for recreational hire over weekly and monthly periods, and then carry out refurbishment of their offices and reception area. The deal looked challenging initially due to a complicated financial background and the complex legislation surrounding boat finance. However, thanks to the hard-working efforts of the entire Davenham team, and broker liaison by our Business Development Manager, Oliver Cole, the deal resulted in a simple and straightforward refinancing process. At Davenham Asset Finance, we have built a reputation of commitment and trust for our brokers. For each of our finance deals we provide a bespoke service, and for this Deal of the Month, our team undertook specialist research enlisting the help of the Canal & River Trust and the British Marine Federation, in order to consider value of the client's asset and to assess overall risk. A well known vehicle rental business required a luxury vehicle on hire purchase over a period of 48 months. Not exactly a tall order, but when they also requested VAT deferral, and the option for a 10% deposit, things started to rev up. In a highly geared business like the super car sub-hire market, making finance arrangements like this is no small order, and presented certain obstacles to navigate for our finance team. Not ones to shy away from a challenge, the team at Davenham, headed up by Sales Director, Paul Lovelock, got to work to meet the client's requests liaising with the broker throughout the whole process, even when faced with organising a 10% deposit on a fully priced £128,000 Range Rover. Davenham not only arranged to accommodate a 48 month hire purchase, with a 10% deposit, and VAT referral, but we also ensured a 12.5% yield to Davenham and delivered the whole finance package with an accelerated turnaround. A pretty successful outcome all round. After running a successful coach business for many years, personal circumstances meant the client’s previous business had failed and was facing the challenge of building a new business back up again from scratch. Despite winning numerous new contracts based upon his contacts in the industry, the customer was unable to obtain the finance needed to acquire a new coach through traditional routes due to trading and credit history and a non-existent current balance sheet. The client was adamant he could make the business work and successfully replicate his previous business model that had generated material profits. He had the model, the contacts and the contracts he needed – but no coach! The Davenham team was approached by a long-standing broker, assessed the various contracts and matched them to the new Scania Coach (cost £250,000) to ensure the cashflows worked, liaising with the client and broker throughout the entire funding process. We then secured the purchase of the coach and the connected contracts. A “chicken and egg” scenario, however by working together we achieved the desired outcome to benefit all involved. The Director of a well established staging and event company had won the contract to co-ordinate a new bespoke stage at one of the UK’s biggest music festivals, and needed the funds to build something revolutionary. The high street banks didn’t want to get their hands (or wellington boots) dirty, and just didn’t look at the business or its security. As a result, Davenham was asked to raise finance on staging, but this was no ordinary staging - these were world leading structures sought after by the top production companies. The Davenham team took the time to learn about the staging, their connected assets and the related engineering requirements, and could see that our client’s designs had incorporated load bearing capabilities and other options which meant they were far superior to other options on the market. What was key for Davenham was to assess the value of the various stages and their components, and understand that many of the client’s previous stages had been built specifically for annual events, so came with an ongoing contractual commitment to hire, highlighting future committed cash-flows. We needed to understand the flexibility of the equipment as it has all been designed as modular to be used in a number of ways to create different structures, similar to a Meccano kit. Detailed discussions and research conducted by Davenham’s valuers confirmed there was material value in the staging and that there would be demand in the market if it ever needed to be sold. A full understanding of the complex erection processes then had to be confirmed, which was done through access to the detailed engineering drawings and the on-the-ground practical experience of our asset logistics specialist, who had seen the client’s previous staging being erected and taken down on numerous occasions and therefore had detailed hands-on knowledge. ​Davenham now found itself understanding it had an asset with significant value and access to the engineering drawings (which in themselves represented a significant piece of intellectual property) and a company and management team we believed in. We collectively discussed the risks they were taking and how they would plan for any exit should the need arise, and as a result the perfect security package was brought together through careful structuring and legal documentation through a bespoke refinance package. You can read more about this case study on the NACFB website here. A broker approached our team at Davenham with the need to refinance the entire production line within a contract food packing business. This would then assist in buying new machinery in order to grow the business, and would also be used to help cash flow. ​In order to complete the deal, our experienced team ensured strong valuations were given and personal guarantees were taken, in addition to the Landlord’s waiver being agreed. 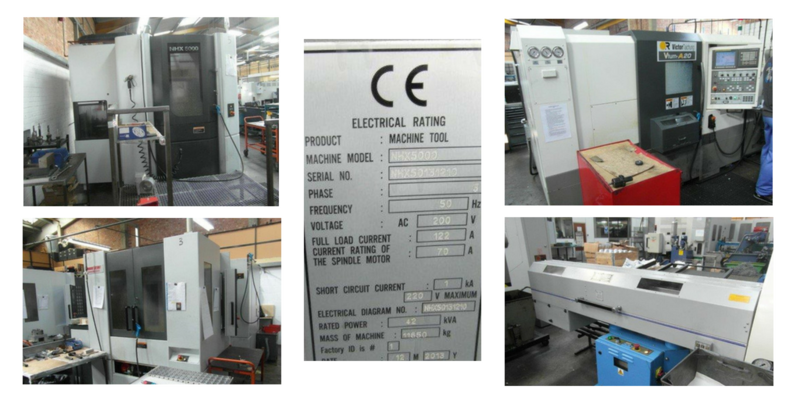 This resulted in the business being able to excel forward through the purchase of multiple pieces of new machinery, and the strain on cash flow was eased significantly. After being introduced to this deal via a broker, our team identified the Television Broadcasting Company’s need for additional working capital, which had arisen due to increasing pressures from the bank. ​Due to the client being well established within their industry, hand-in-hand with first-rate valuation on their kit and a number of personal guarantees, the Davenham team was able to ensure the deal was paid out quickly, and pressure from the bank was lessened. An existing rail hire firm client required refinance on a locomotive, in order to gain additional funds to refurbish other locomotives and in-turn help grow the business. ​Due to a good track record in addition to a strong valuation, the deal was set up immediately, and the client received the funds they needed to refurb their existing locomotives. A well-established precision engineering SME based in South Wales were introduced to Davenham Asset Finance by Steve Richardson of Funding Options. With over 20 years’ experience of high quality, high and low volume production, their directors had already made significant investment to ensure that their plant and equipment was capable of satisfying customer requirements in both quality and volume. When they approached Funding Options, they were at a stage of business where they needed to refinance multiple assets within the business to help generate further working capital. 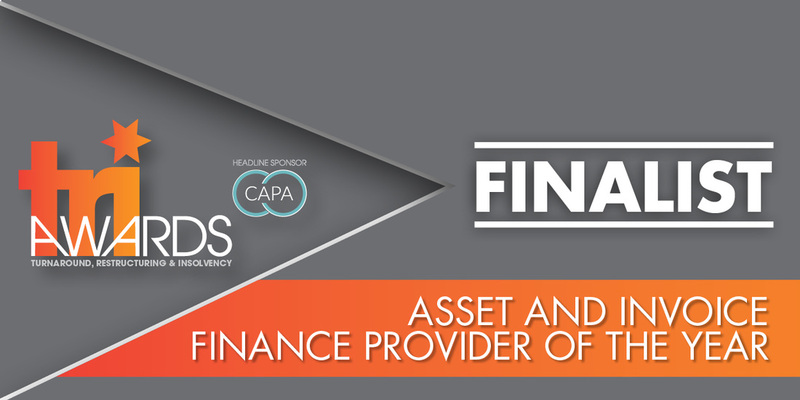 The team at Davenham headed up by Paul Burke, were considered the best asset finance provider for the business and introduced by Funding Options, given their experience, capabilities, and collaborative approach. In addition to asset refinance for working capital, equity release was also required from a number of existing finance agreements, which required Davenham to set up a complicated transaction of a multi-funder consolidation into the deal. This provided the most convenient result, with all new repayments being managed by one central point - Davenham. Despite the complex nature of the deal, it resulted in a lend value of approximately £60k, with the entire process completed to the highest standard by the Davenham team through their flexible, partnership approach. Davenham put in a high level of work, using their innovation and creativity to structure a deal to suit the needs of the business, which in turn made the course of the transaction much easier for the client - something of high priority to Davenham and Funding Options as the intermediary. The deal was a rewarding venture for Paul Burke at Davenham, knowing that the funds raised were used to thrust the business forward and allowing them to further establish themselves within their industry.